I applied one coat of "Gravedigger" over a black creme base color. The consistency was perfect, not too gloopy and not too runny. The application of the glitter was very smooth, I didn't have to work too hard to ensure an even distribution of the glitter. The polish dried to a rubbery/latex finish so I topped it with a coat of Sally Hansen Insta-Dri. 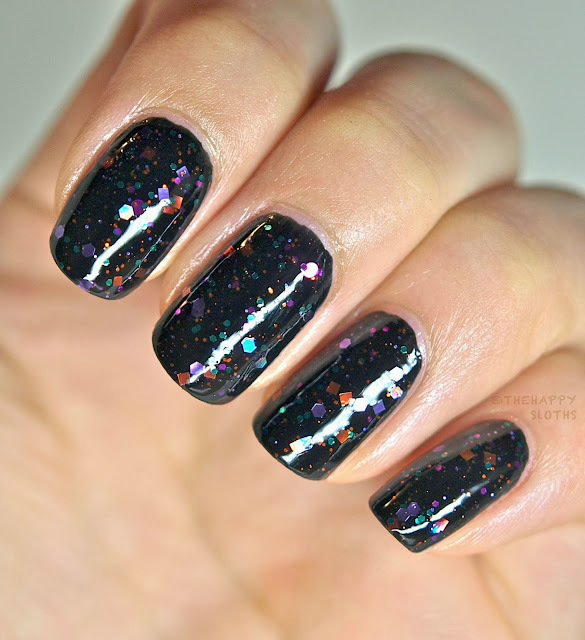 As you can see, this polish is fairly subdued, you definitely notice the glitters but they don't jump out at you. A few of the hexagons are, however, very holographic and I love the tiny fuchsia discs! 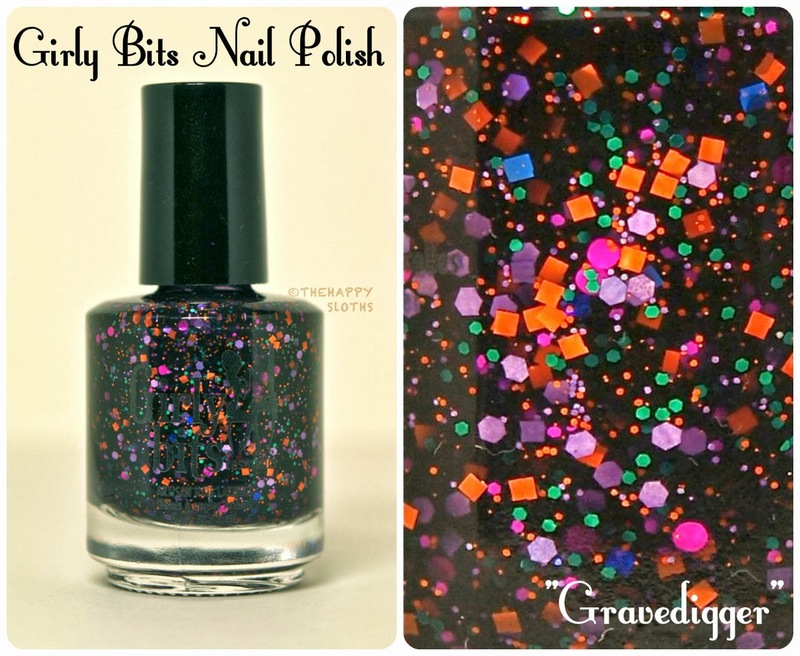 Overall, "Gravedigger" is an amazing glitter for Halloween or just any time of the year. What do you guys think? Girly Bits is a Canadian polish companies that makes hand blended and poured polishes; they are 3 Free and never tested on animals. To check out this and many other gorgeous polishes, head on over to Girly Bits now!